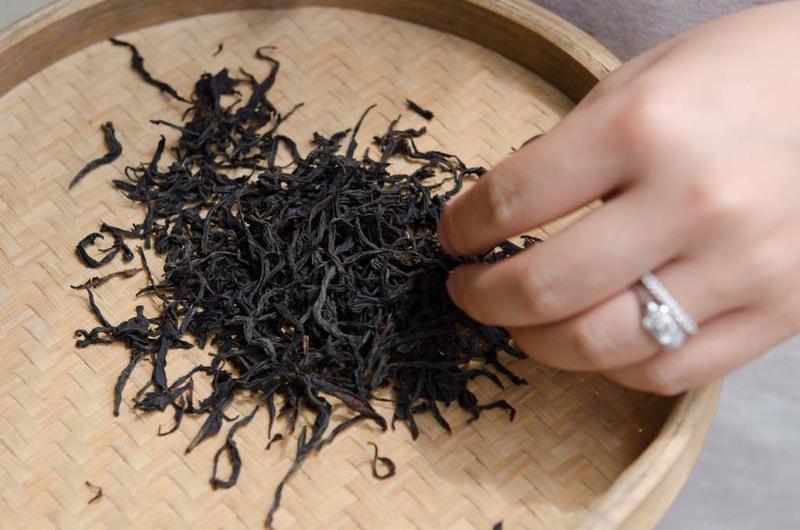 Tongmu, the fabled origin of black tea is surrounded by a biodiversity protection zone. 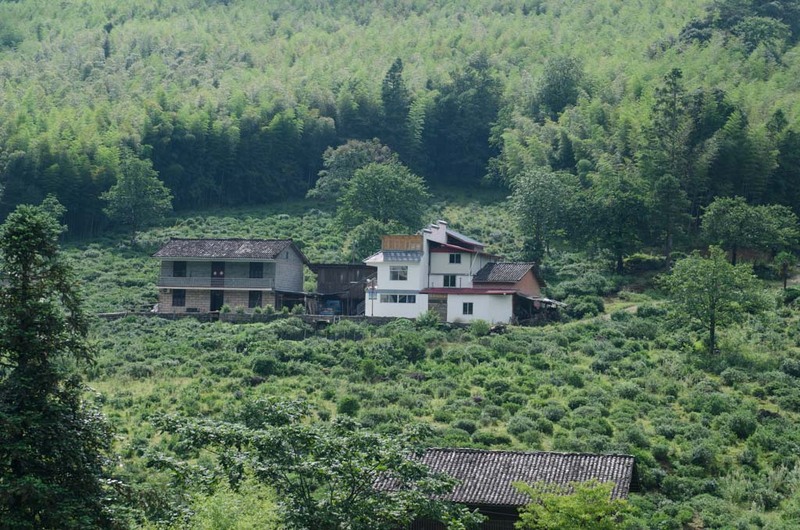 Masu is a village deep in the mountains above Tongmu. 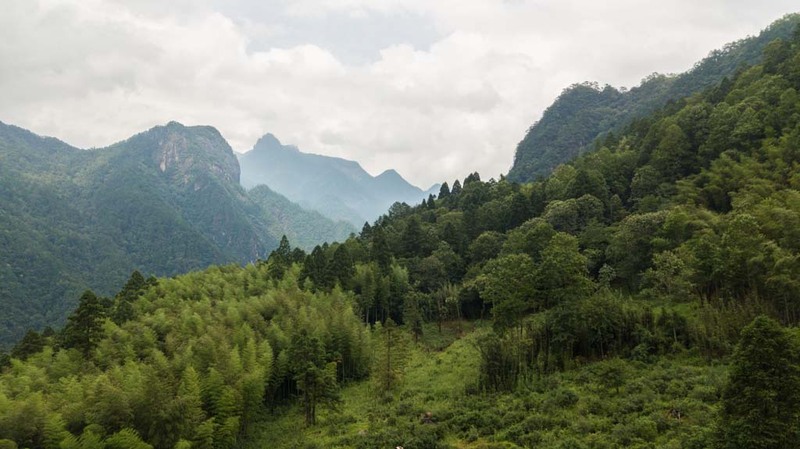 Getting to the biodiversty protection zone is about an hour's drive past the Zhengyan area, through the towns that support farming in the banyan area. Getting to Masu (麻粟) is another 40 minutes climbing the mountains on a one lane road. The road is paved in the sections that it is too steep for a gravel road to hold up. 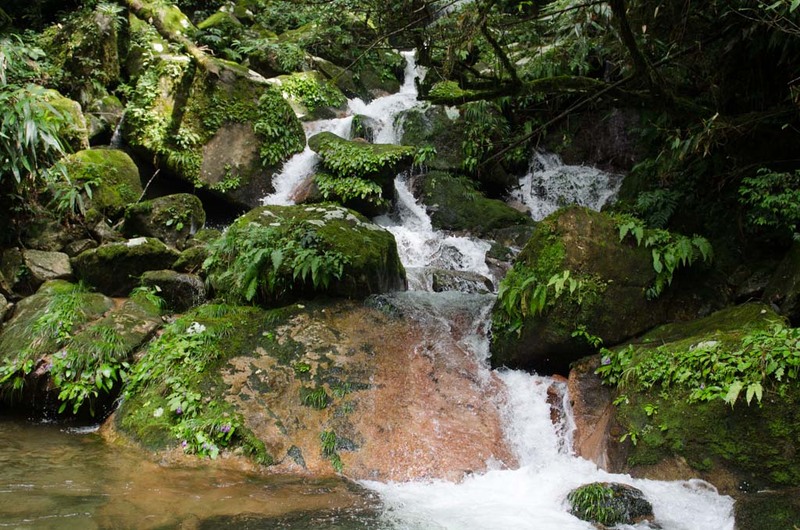 When it rains the small creeks flowing down the ravines must turn into temporary torrents. The rocks bordering the serene looking creeks seem devoid of brush and fallen leaves for a reason. We pull over and wait for an old truck with a few families to pass. 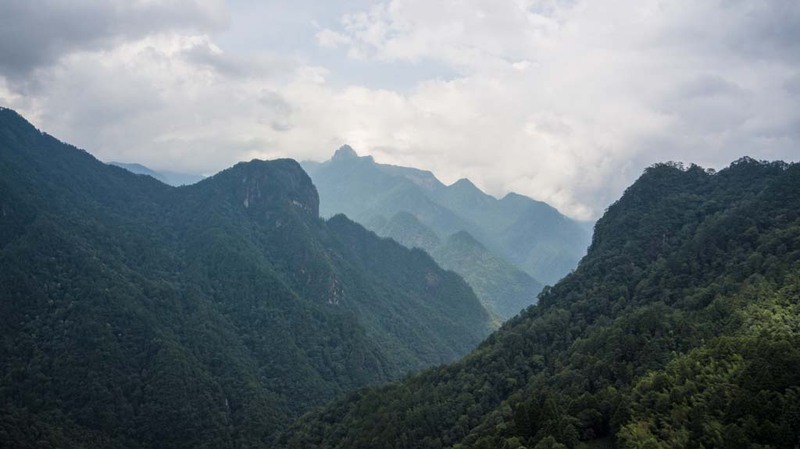 Our driver mentions that since the drive is so long the families that live up in the mountains here take turns going down to get groceries and other supplies. 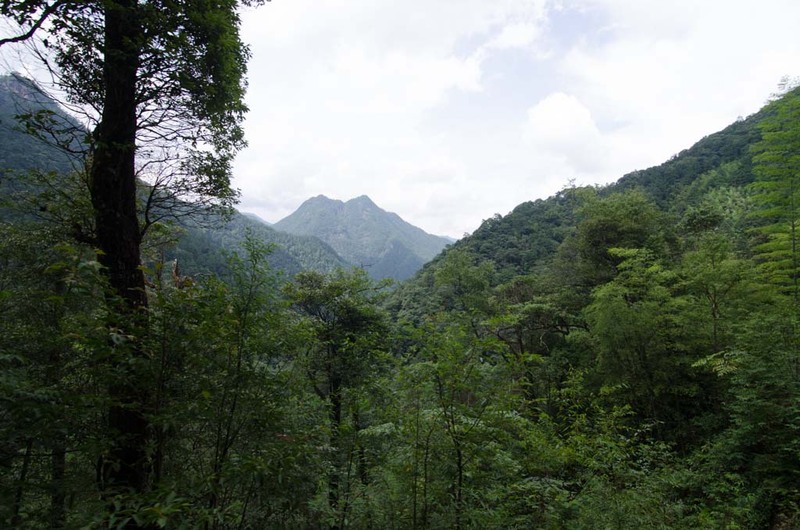 The road continues, following the mountainside, always climbing ever higher upon the hump shaped mountains endemic to Wuyishan. Finally the road levels off and begins it's plunge down the other side of the pass towards Masu. The car must momentarily stop for us to get out and move some brush off the road. The valley opens up and we can see the houses and wild style tea farms spread across. My cousin's house is across the valley. 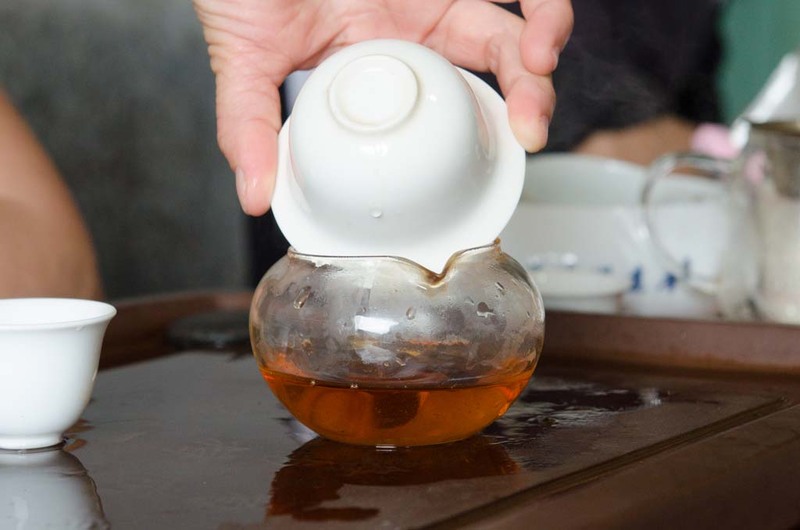 The tea from Masu is very well regarded on the Chinese market. 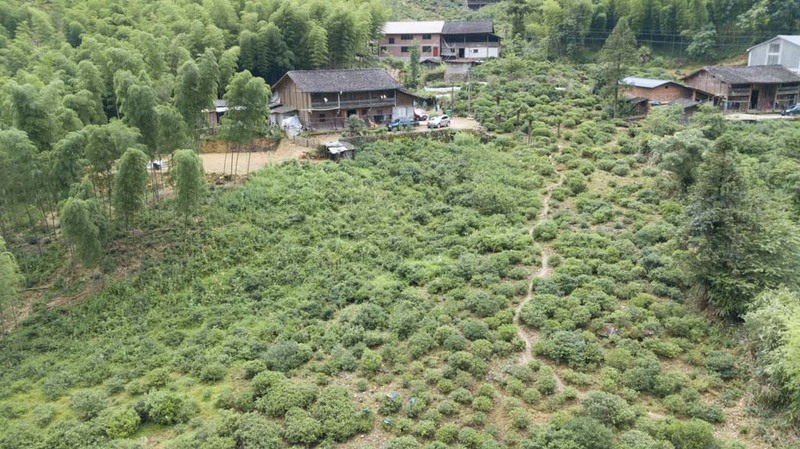 The entire village focuses on growing wild style trees of various age, many of which are over 60 years old. The weeds are removed manually and attention given to each tree. 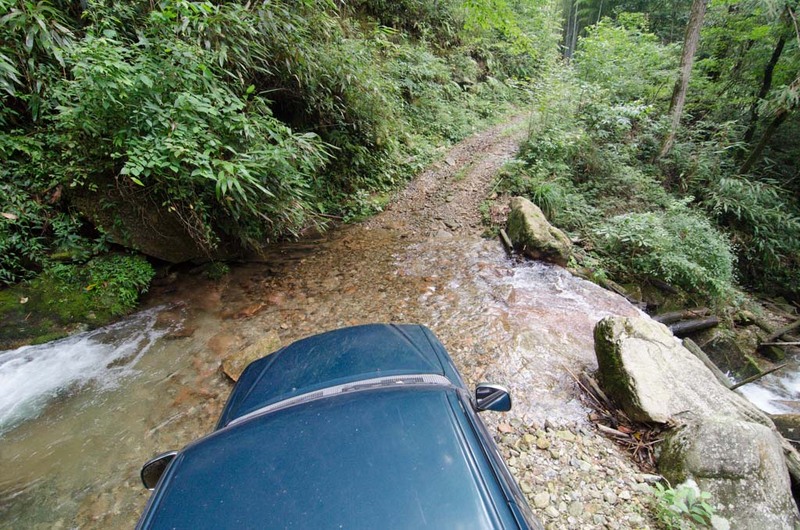 We drove across this stream on the way to the tea fields. A clearing full of wild style trees with bamboo and redwood tree forest beyond. Driving through another stream on the way back to the house. 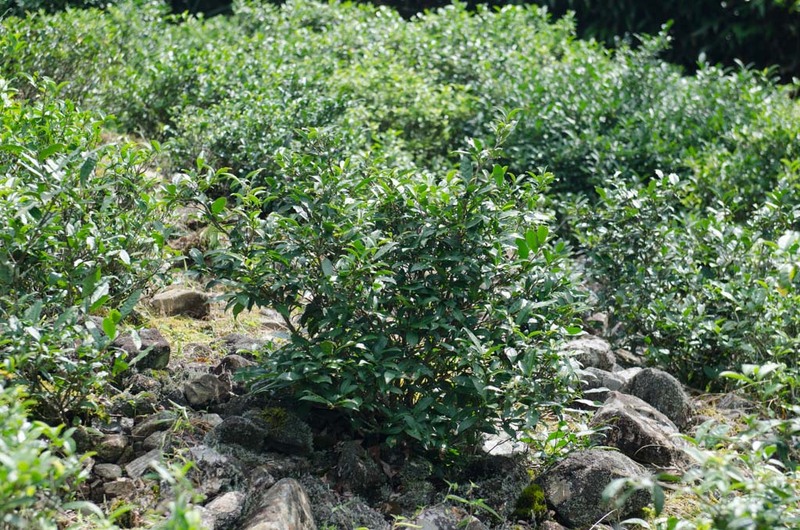 Tea trees growing in Masu. 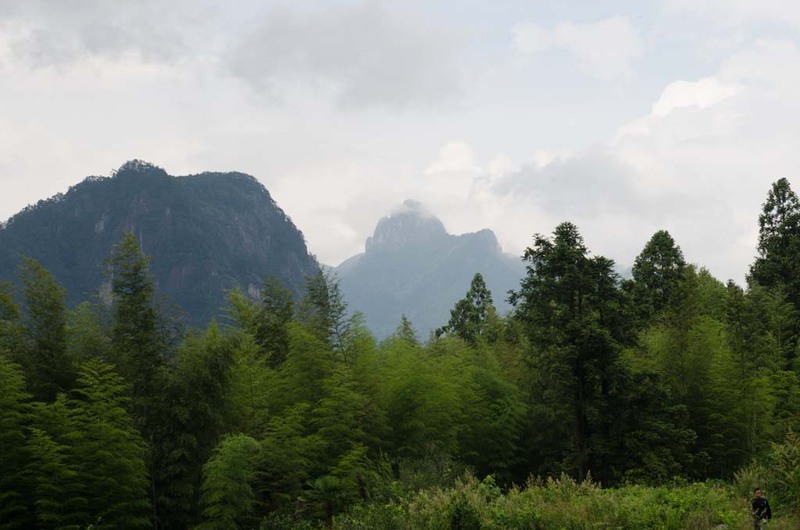 Looking across the valley of Masu. The houses are quite spread out, each with their own farms. Posted on 27 Nov 2017 . Posted in Wuyishan.